A combination that works well in deep summer! 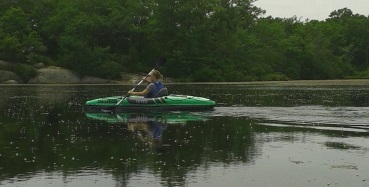 Once the dog days of summer approach, switching up a hiking routine to include Kayaking is a great change of pace. There are many south shore hiking trails that can be accessed this way. There are some that can only be accessed this way. This can also give you another way to access beaches on the south shore that are costly if one drives to them, or you can be turned away if the beach is too full. For that matter you can just paddle away to a more desolate area! Some of those beaches are little known! Some of the Boston Harbor Islands are an easy paddle from many town launches. Many of these have trails and swimming, making this a possible full day activity. 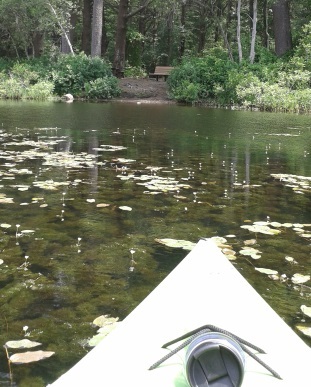 Some areas, you can cut a long hike in half and change up the exercise routine with a paddle to a scenic destination. The sport of Kayaking has exploded in the last few years. Very inexpensive recreational types can be bought at almost any sort of store. Like any sport, it is wise to start with an inexpensive brand til skills are acquired. Owning an inexpensive one will also quickly help you define the features you will value when it is time to invest in a quality watercraft! Most paddling on the south shore is fairly easy. What I suggest on this website will be very easy with minimal skill set required. Many websites that focus on this activity suggest that the type of kayak you choose will depend on the type of kayaking you like to do. Here is a higher end recreational boat. Storage has a locking mechanism and it has something called a Kayak Konsole, it has a personal item dry hatch with cup holders. Well how do you really know til you get your feet wet? If you are the explorer at heart that this website reaches out to, then there are many types of kayaking that you will want to explore. A very basic guideline to selection is, that shorter (12 feet and under), wider boat will be slower, harder to keep in a straight line, but more stable, ( a quality I appreciate)! 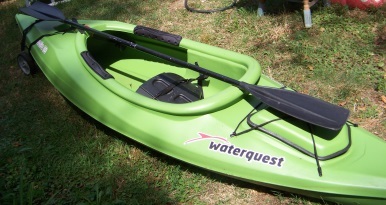 This type of kayak is good for flat water, rivers with minimal rapids and protected ocean waters on calm days with trips only lasting a few hours. Though, depending on the endurance level of the paddler, can be used for more challenging circumstances. This one is only 11 feet and used on the ocean. These are generally called recreational kayaks. Some are sit in with some space for storage. Some are the sit on top variety, considered summer only as more water will end up on the paddler, but this is considered the most stable even to the point that it can be stood on. A quality that those that like to add fishing to the agenda can appreciate! There are some designed specifically with fishing in mind with spots in the hull to position your rod. This one is 14 feet long and of the touring variety. Long, slim and pointed on both ends. For longer trips or more rugged conditions the longer touring type is used. Generally 14 feet or longer and slimmer, these retain a straight path easier, gain more ground or should I say, water with less effort. These can be used in the open ocean and can handle some waves. This is my well used inexpensive kayak that came with a paddle. Once you select a boat you need a paddle. The paddle used for this type of boating is a double paddle. There is much discussion on many websites about finding the right paddle, but like any sport it is a matter of finding what suits you best. The size of the boat and the one paddling play a factor. A wider kayak demands a longer paddle. Some models come with paddles. General advise about paddles is that it needs to be long enough to allow the paddler to reach the water without straining or hitting the side of the boat. Inflatable types can be a very inexpensive way to get into the sport with the convenience of easy transport to the launching site! Next in the preparation for kayaking is considering how to transport your water vehicle. This can go any where from those who just toss it in the bed of a truck, to a car top holder. There are very inexpensive kits of molded foam with tie downs and rope. There are even trailers that can haul several kayaks. With an inflatable kayak, the back seat of your car is all you need. My experience with the inflatable sorts are that these are pretty durable and quickly inflate. Another piece of equipment worth consideration is a trailer. These are handy when the launch point is not right at the parking area. 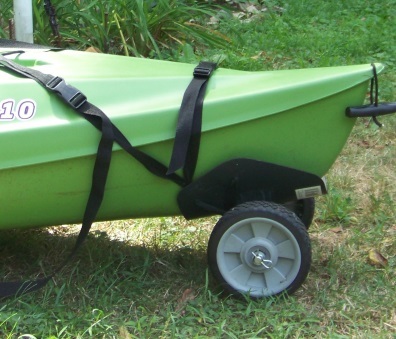 The trailer holds one end of the kayak between two wheels and you lift and pull the other end. I have found this handy on many occasions. The best accessory is a well fitting pfd! Then there is safety to consider. 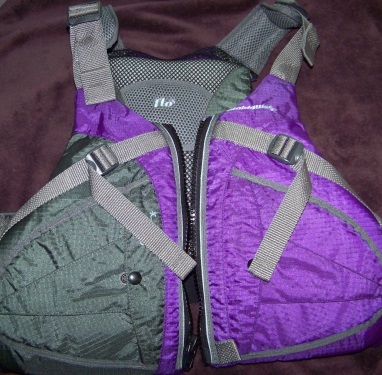 A well fitted pfd (personal flotation device) or as many call it a life jacket. This is a must. While the law does not require you to wear it during the summer months it is the intelligent choice. Not a summer season goes by without someone losing their life to an accident. When fitting yourself make sure there is plenty of adjustment points and that it doesn't ride up when sitting. The yellow foam sleeve on this bilge pump ensures that it will be found quickly in the event of a capsize! A bilge pump is another good piece of safety equipment. If a capsize does occur or you take on too much water, these will pump it out quick. Usually made to float making it easy to use and retrieve. A sponge on hand is useful to soak up the remaining water the bilge pump leaves. 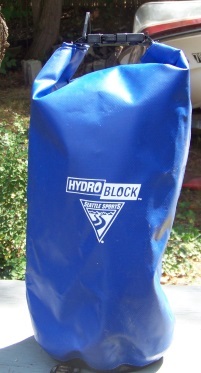 Folded up the dry bag creates an air pocket useful in a capsize helping your watercraft to not sink! Dry bags can serve two purposes. One to store items you do not want wet and to serve as additional flotation in the event of a capsize. Some sort of light or head lamp if you end up out on the water past sunset. A whistle in the instance of getting attention if you need help. Then there are the things needed to ensure your comfort. A water bottle, sunglasses, sunscreen, snacks. The right clothing is important as well. Your favorite flip flops are okay for a paddle around the campground swimming pond, but a trip down a river, new lake or pond warrants the need for more reliable footwear such as water shoes. You will get wet! Quick drying clothing are another choice to make for a more enjoyable day. Lightweight man made fabrics are best. The information above is a very basic outline of what to know when you are interested in this sport. Below are some additional sources of info. Paddling.net has great info on selection and many topics of interest to novice and experienced paddlers. They also have an app that lists launching sites. 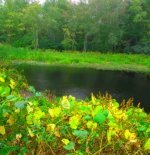 For news on the south shore related to the rivers the North & South River Watershed Association is the place to go. They list launch sites and hiking opportunities as well on their on your own page. 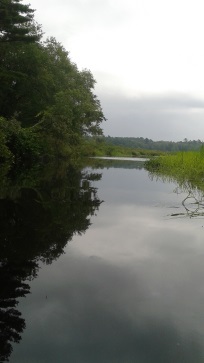 This is a pleasant paddle down the North River from the Chapman Landing in Hanover. Check the trail quick facts in the right column for directions to the launch area. Many also refer to this as the Hanover Launch. Warning: In deep summer Misty Meadows can be pretty buggy. Bring repellent! Cleveland Pond is the large erratic shaped pond in Ames Nowell State Park in Abington. Islands always intrigue me and are irresistible for exploration. The Pembroke Launch is somewhat hidden and Couch Beach is a wonderful summer destination. Blueberry Island is along the river just before the beach. Camping is allowed with a permit. A hiking trail that leads out to a beach area on the opposite side of Grape Island. A short paddle from Webb Memorial State Park to a large lawn for sunning and hiking trails around the island. Another island with the option to camp at. Plenty of areas to picnic and catch some great harbor views. 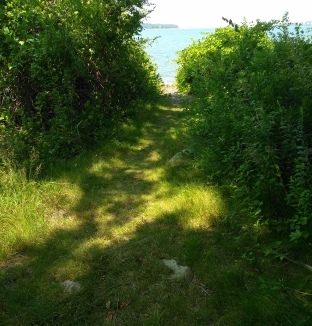 Hiking trails leading around the island and to vantage points lending spectacular views of Boston, Hull, Hingham and many of the other harbor islands. 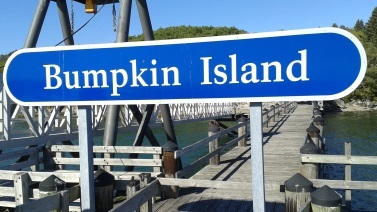 Pack a lunch and spend the day or pack your backpack and spend the night, Bumpkin Island is a quiet refuge either way!